THIS ITEM IS NOT AVAILABLE AT PRESENT. WE WILL NOT BE GETTING ANYMORE Betty Boop Classic Betty Wastebasket. From the Betty Boop collection by Westland Giftware. 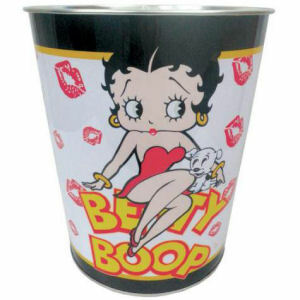 Betty Boop Classic Betty Wastebasket. Made of tin. Measures 10 Inches high. Westland Giftware Betty Boop Household Items shipping from Canada. No Surprise Border fees or Customs!